BAKERSFIELD, Calif. — Congressman Kevin McCarthy is expected to recognize Foothill High's state championship basketball team during an assembly at the high school. Congressman McCarthy is set to join students, teachers, and staff in recognizing the boys basketball team, as well as present each team member with a certificate. 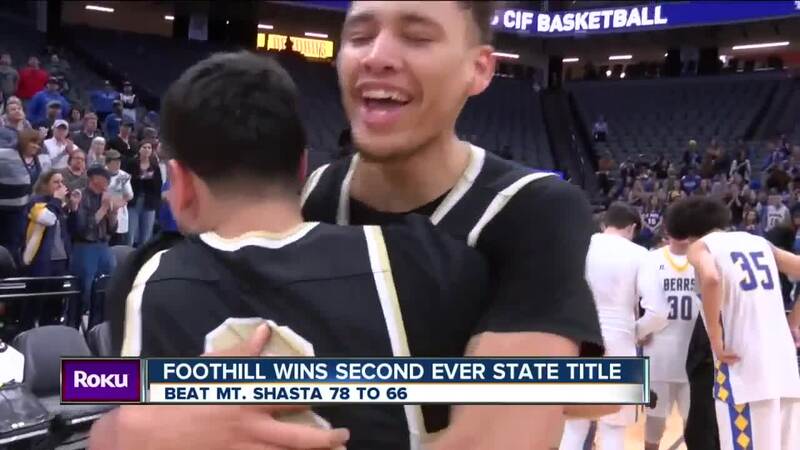 The Foothill High boys basketball team won its second state championship in school history on Saturday, March 9, defeating Mt. Shasta 78-66 in Sacramento. It's the Trojans' first CIF Division V title since 1988. The assembly will be held on Friday, March 22 at the Foothill High School gymnasium at 2 p.m. The school is located at 501 Park Drive in East Bakersfield.